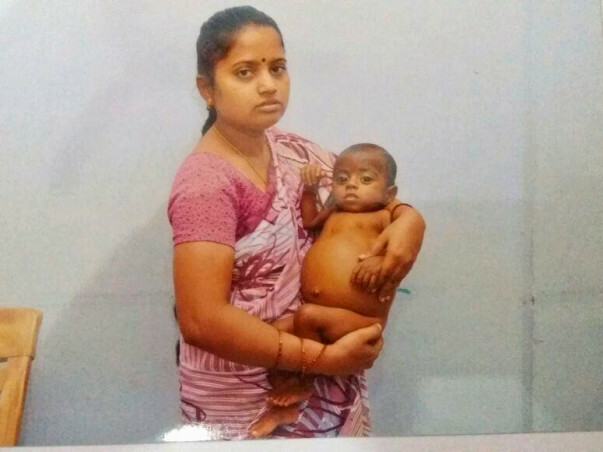 6-months-old baby boy Likit is suffering from liver disease and as per the final reports of Global hospital Chennai , a liver transplantation to be done. 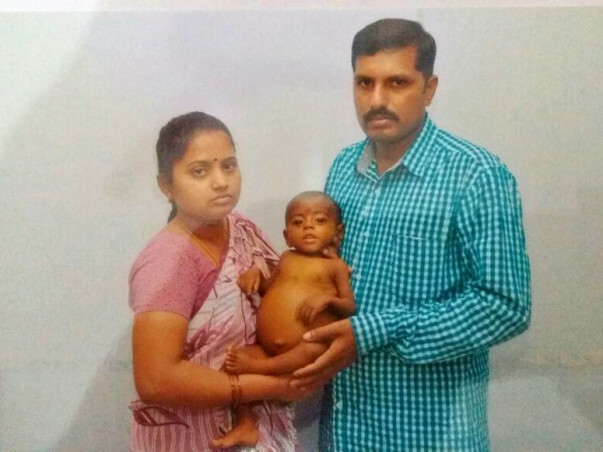 His father is ready to donate the liver . With a great difficulty, the middle-class family has already to spent 10-12 lakhs in all hospitals for treatment . 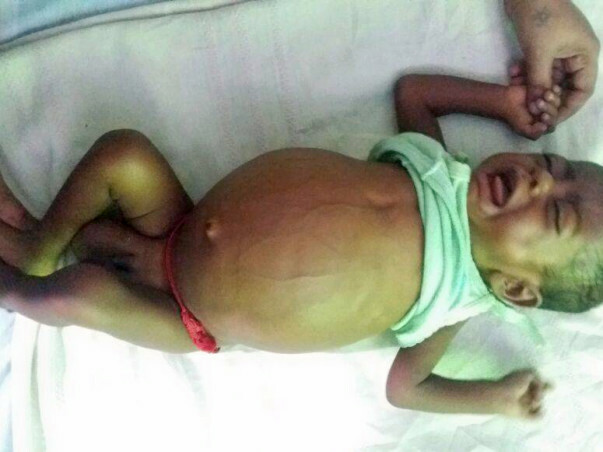 Now for the transplant they need INR 22.5 lakhs. With a heavy heart, I want to inform you all that baby Likit kumar left our world on 27th December, leaving behind his memories. He has driven me and pushed me to try all corners of the electronic world to get help for his liver condition. God had his own way for Likit and he is in a better place now. Thank you for your financial support and wishes. Your support gave faith to a middle-class family who can now believe that there are kindhearted people like you as our friends. Finally, I am personally thankful to Milaap who has been with me from the first day, guided me, supported me to collect these funds and giving the very experience here. https://milaap.org/fundraisers/prachirajwade We can utilize the funds to help Parth. But if you would like to have your donation back, you can reply to this email and Milaap will initiate the process for the same. Now baby condition is very serious , his Blood pressure has fallen last night to 45 which doctors trying their best to get back normal. Only thing am requesting you all is we have to pray for GOD to increase internal confidence of baby to react the external medical machines which are trying to support him. A great news to share with you all. Andhra Pradesh CM's Office released 10 Lakhs through CM relief Fund for Likit. I am extending my sincere gratitude to you all for your valuable support and wishes which have given the baby family members hope and confidence. 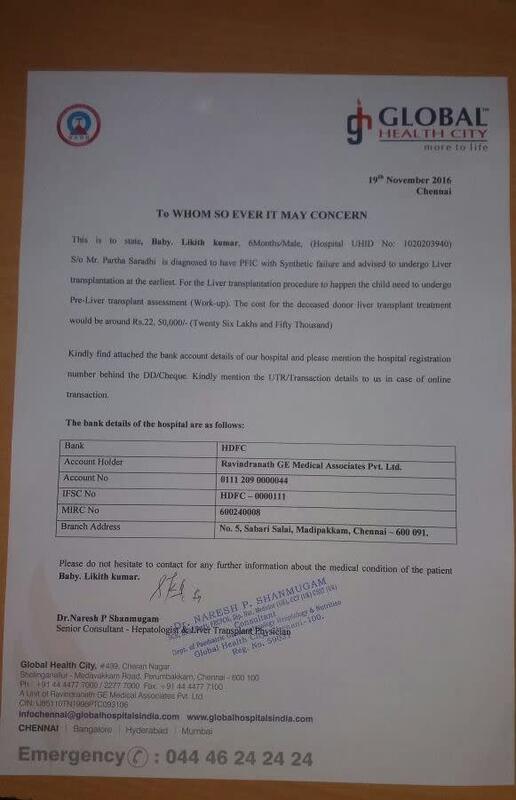 The required amount is only 12,50,000/- for the transplant now. I have edited the target goal for this campaign. Thank you for your support so far. Do share the campaign with your network. It will be of great help. got to know about this link and need through eBay's office email group.